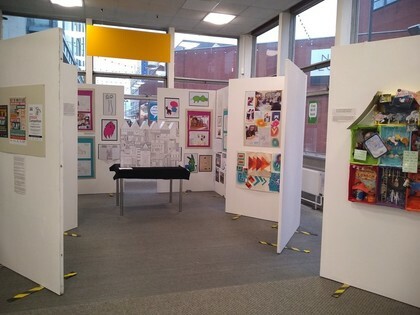 The creative writing of young people from Stansted has gone on display in an exhibition. The poems and 100-word short stories were selected as part of the arts programme across Harlow and Uttlesford by community art company High Stile Projects. Natalie Hogg, assistant subject leader of English, said: “The project is promoting the library as an imaginative place to visit. Stephen Hehir, executive head, said: “It is so wonderful to see Forest Hall School students getting excited about creative writing and developing a love of literacy. Libraries are a wonderful place of learning and it is exciting to see our young people’s talents on display in our community.